Social Recruitment in Focus: Facts Behind the Numbers - Send and Receive Automated Call and SMS Text Campaigns. If you want to know more about a person, look no further than on their online presence—more specifically, their social media accounts. More than just an avenue to connect with people, build communities, and occasionally rant about social and political issues, social media has also been utilized as part of recruiting solutions. Today, while social recruitment is still considered more as a concept rather than a technique that is a supplement to traditional recruiting methods, it is quickly outperforming the conventional ways to become the norm. Aside from helping you find your top candidates, there are also other benefits your company can gain from doing social recruitment. 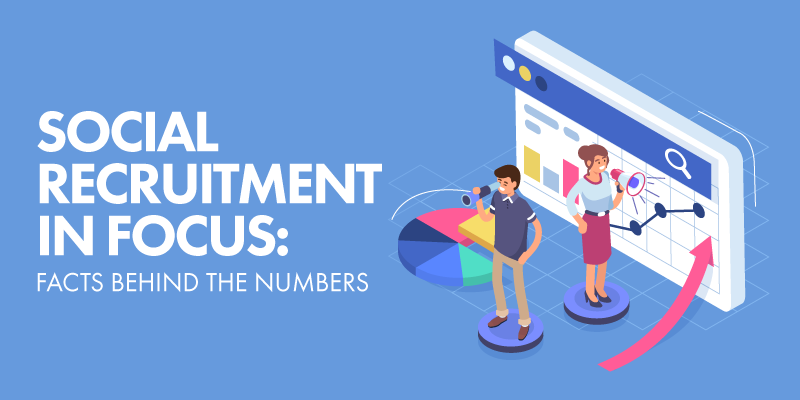 If you’re still not convinced about the convenience and usefulness of social media for your company’s recruitment, these numbers will help change your mind. In a nutshell, social media is the new preferred method of recruitment for Filipino HR professionals. With the Philippines being one of the countries with the most active Facebook users, it’s no surprise that 78% of companies that responded to a survey by Sprout Solutions and Kalibrr are opting to be on this social media site to find their new hires. Furthermore, according to the report, the effectiveness of Facebook in recruitment is at the highest when compared to the other social media sites utilized, at 54%. In comparison, LinkedIn, which is both the second most used and most effective site, is being used by 72% of respondents, with an efficiency of 36.7%. Outside of social media, there are still 67.3% who use job boards to find, screen, and invite applicants. Despite the improvements in recruitment methods though, it was found that only 26.6% of companies have automated their applicant management through an Applicant Tracking System. It may now be easier for applicants to find their new job and be in touch with their preferred employer online, but most companies are still working on and tracking their applicants through traditional, manual means. Reportedly, 94% of companies are currently using social media to find and recruit applicants, with 73% successfully hiring a candidate. LinkedIn leads the way with 93% utilizing it, followed by Facebook and Twitter, at 66% and 54%, respectively. Companies are straightforward when it comes to recruitment through LinkedIn, focusing on creating job ads. However, keep in mind that the type of content you use affects who you can reach and how many applicants can be persuaded by it. For instance, it was found that unconventional job posts that come with videos get 36% more applications and that 40% of people respond better to visual information compared to a simple job ad. Remember that you’re trying to reach 14.4 million prospects who are using social networks to find a job, so your content should be enticing enough for them. That doesn’t mean you should stop using LinkedIn, though—it still drives more job views than any other sites, even if only 36% of the total number of job seekers use LinkedIn. The title for that belongs to Facebook, with 67% of candidates using it; second place is Twitter with 35%. If you want to narrow down your choices and target a demographic, post your job openings on Facebook and LinkedIn to reach older generations (age 45 and up), and on Twitter to reach millennials. Facebook has more women users at 58%, while LinkedIn has more males at 67%. Being active in social networks—not just for recruitment—is beneficial to companies in terms of visibility. When looking for companies that they can apply for, 59% reportedly look at their social media pages, with the majority of applicants aiming to learn about the company’s culture and work environment. Traditional recruitment strategies are not only time consuming, but can also be less-efficient and expensive compared to social recruitment. These numbers on social media prove that it is the future. Even the various social networks themselves have recognized their power, releasing new features that help HR professionals reach more candidates and make social recruitment a more substantial strategy in the coming years. This underscores the point that diverse social recruiting strategies—through Facebook, LinkedIn, Twitter, and even YouTube and Instagram—should be employed to drive applicants, target the right talents, and build your brand as an employer. Learn how to collaborate multiple networks to align with your employment goals.